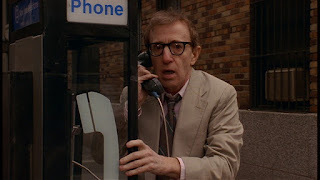 A Woody Allen dramatic comedy mystery, Manhattan Murder Mystery explores Hitchcock-light territory but ignores its own potential and defaults to Allen's traditional turf. In New York City, married couple Carol and Larry Lipton (Diane Keaton and Allen) finally meet their next-door apartment neighbours Paul and Lilian House (Jerry Adler and Lynn Cohen), who appear to be a jovial and healthy elderly couple. The very next day Lilian drops dead apparently from a heart attack. Larry thinks nothing of it, but Carol finds it weird that Paul does not seem to be grieving much, and suspects foul play. Carol confides in her recently-divorced friend Ted (Alan Alda), and together they start an amateur investigation of Paul, including invading his apartment and tailing his movements. Larry, a neurotic book editor, is horrified that his wife appears obsessed with spinning theories about a murder that may have never happened, but gradually he is sucked into the intrigue. Glamorous and available book author Marcia Fox (Anjelica Huston), one of Larry's clients, enters the fray and starts sharing her ideas as to what Paul may be up to. When Carol spots someone who resembles Lilian very much alive and staying at a seedy hotel, her suspicions kick into overdrive. Directed and co-written by Allen, Manhattan Murder Mystery started life as an early draft of what became Annie Hall. Allen considered the story of a couple suspecting foul play too shallow, and not much had changed by 1993. Despite a prevalence of wit, Manhattan Murder Mystery is both over-complicated and under-developed. Allen tips his hat to Hitchcock's Rear Window, Vertigo and Orson Welles' The Lady From Shanghai, but his own film is dominated by Larry's insecurity and a perfectly silly final act. Despite a potential murder, apartment break-ins, dead bodies popping up everywhere, elevator break-downs and Ted lusting after Carol, most of the dialogue exchanges start and end with Larry's numerous anxieties about his life, his deficiencies and his stress points. Funny the first couple of times, staleness sets in by the time Larry and Carol have their umpteenth argument as he insists that they should let the whole matter drop while she breathlessly contends that the snooping should continue. Meantime, a seemingly complex plot is being woven around the ever suspicious Mr. House, but Allen's script is not designed to flesh out a juicy conspiracy. Too busy with personal angst, the film hurriedly does the minimum possible to explain the actual plot, and rushes to a fairly ridiculous climax unbecoming of supposedly smart New Yorkers. With the narrative focusing on relationships within a marriage and the stresses that accompany over-familiarity, the cast members are firmly in their domain and deliver fine performances. Allen and Keaton demonstrate a comfortable ease with each other, with Alan Alda and Anjelica Huston adding confident support and Jerry Adler riding the seam between friendly retiree and possible cold blooded killer. 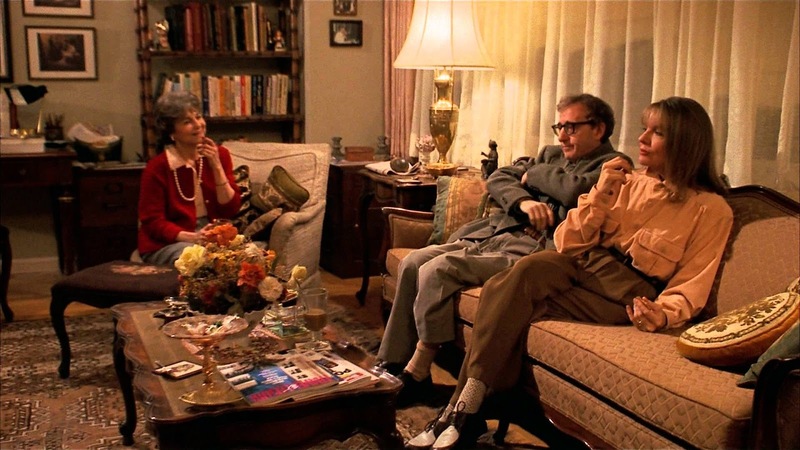 Manhattan Murder Mystery is more about the inherently indisputable insecurities of an intelligent man rather than any attempts to crack a cryptic crime case.